Analysts can leverage their time by starting with AFG default models rather than building entire DCF models by hand and instead focus their time on deeper research. By using AFG’s Value Expectations interface, analysts can quickly understand expectations that are currently priced into a company while efficiently plugging in their own forecasts to see how it would impact a company’s intrinsic value. Once an analyst has determined the companies they wish to spend more time modeling, the Proforma Builder interface serves as a line-item model building tool that can generate a 30 page report to share with your investment committee. Individual analysts, investment committees and management will benefit from AFG’s model building tools in several ways. Line-item details can be adjusted to fine-tune models to come to more refined valuation conclusions. Using the Company Profile features on AFG’s platform, we can navigate through various charts and reports to gather information that will be beneficial in our model building efforts. We can also explore historical performance and financial statements to determine if a company is managed in a shareholder friendly manner and has high levels of reporting quality to further support an attractive intrinsic value estimate. Value Expectations is an efficient, web-based custom model building tool that provides a resource to quickly develop a custom proforma forecast. Analysts can adjust sales growth, EBITDA margins, and asset turnover, as well as several advanced valuation metrics that can help improve estimate error from a potential model bias. 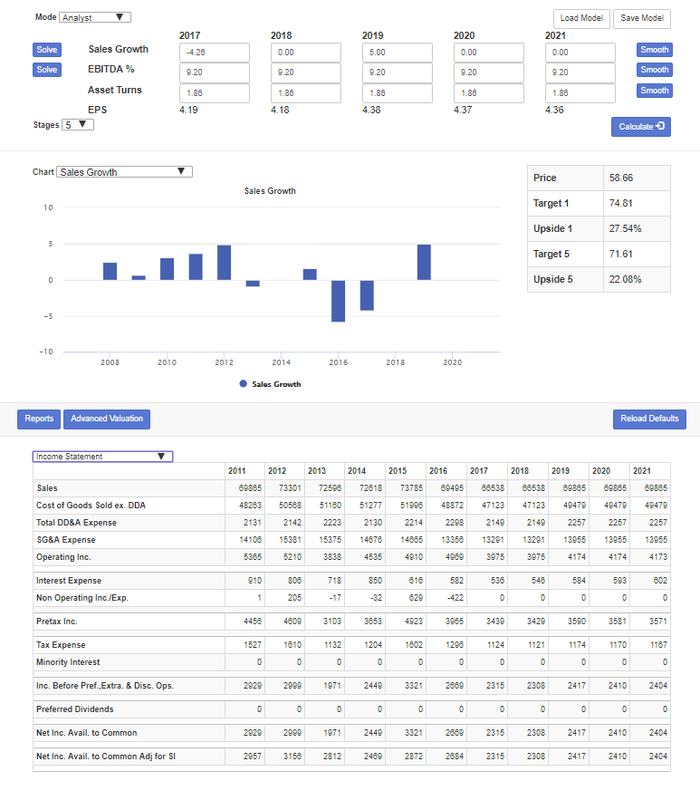 Proforma Builder provides significant line-item detail for analysts to further refine custom financial statement and advanced valuation forecasts. Analysts can adjust all income statement and balance sheet line items, as well as incorporate financing decisions and modify advanced valuation settings with a higher degree of precision. 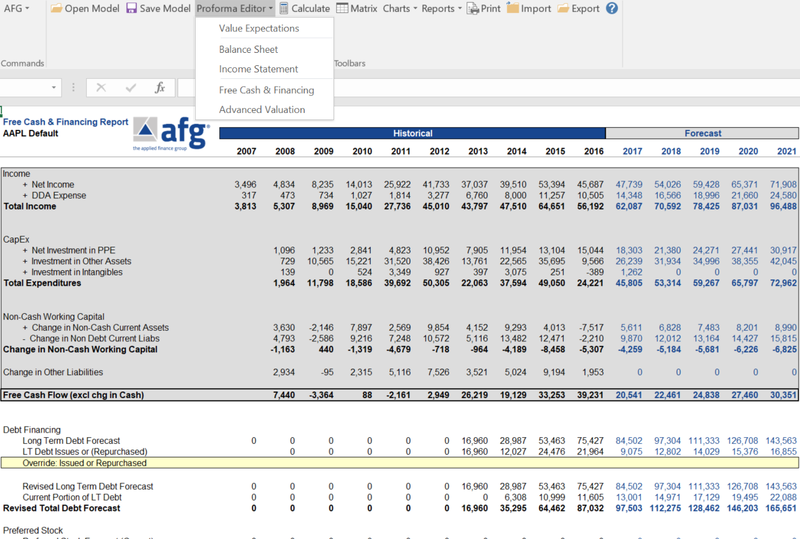 As AFG’s due diligence and model building tools are incorporated into an investment decision-making process, analysts will encounter model building exercises that require the adjustment of advanced valuation assumptions in addition to fundamental forecasts to develop a high degree of confidence in the estimate of a firm’s intrinsic value.